Organic Brussels sprout tops. They’re the crowns of loosely packed leaves that grow at the top of the Brussels sprout stalk. Once seen only as a grower’s perk, these winter greens wilt down beautifully in butter. When they’re in good condition, we think it would be criminal for them to go unused! 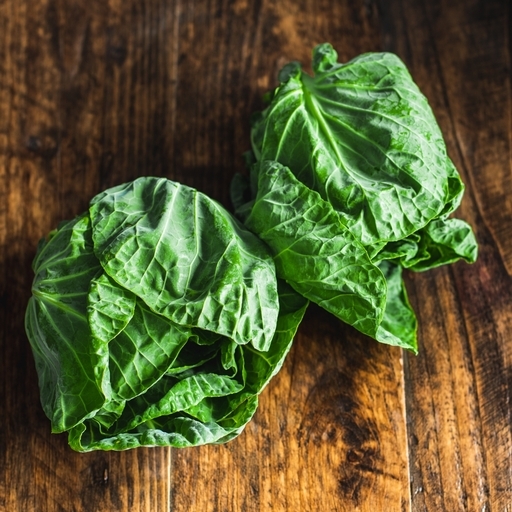 Treat them as mini, open-hearted cabbages, shredding and sautéing, boiling or adding to stews. Remove the stalk and use the leaves in any recipe that calls for cabbage, kale or sprouts. Try in a hearty bowl of Portuguese caldo verde in place of cabbage, wilted and stirred through mashed potato for a simple colcannon, or fried with bacon and chestnuts instead of regular sprouts. Store as you would kale or other greens. Keep in the fridge in a plastic bag. It’ll be good for 3-4 days.